Only two days after Conchita Wurst’s victory in Copenhagen several Austrian cities indicate interest to host the 60th edition of the Eurovision Song Contest in 2015. According to ORF general manager Alexander Wrabetz the decision is to be made soon. It is less than 48 hours ago that Conchita Wurst succeeded at the 59th Eurovision Song Contest in Copenhagen giving Austria their second victory after 48 years. The interest in Austria to host next year’s edition is big, so several cities have already indicated their interest as possible hosts. According to Alexander Wrabetz, general manager of the Austrian broadcaster ORF the decision is to be made soon. Thinking about possible host cities in Austria Vienna comes to most people first in mind. 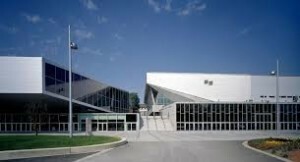 A likely venue could be the Stadthalle with a capacity of about 16.000 seats. About 250 events per year are organized at that venue. Wolfgang Fischer, boss of the Stadthalle, says that they are used to pyrotechnics, rain and snow or whatever the participants want to have on stage. Beside the Stadthalle another possible venue could be the exhibition area which offers three halls of 16.000 squaremetres each, offering space for about 15.000 people. One argument for this solution could be the good connection to the public transport (the Viennese underground). Beside Vienna the Tyrolean capital Innsbruck showed interest in hosting the Eurovision Song Contest. Their Olympiahalle offers the same capacity as the BW Hallerne in Copenhagen and in the past Innsbruck has already proven that it can stage big events. Klagenfurt, capital of Carinthia, would like to host the Eurovision Song Contest as an Open Air event at the Wörthersee stadium. One big disadvantage could be the unsecure weather conditions as the stadium has no roof. A modification would be expensive, so a staging in Klagenfurt seems unlikely. Other cities showing interest are Graz, Bregenz and Linz whereas Salzburg already rejected as the Eurovision Song Contest does not fit to their cultural profile. According to Alexander Wrabetz they feel honoured to host next year’s Eurovision Song Contest in Austria. The financing will be no problem. Beside an acceptable venue the host city should also offer a good infrastructure and a sufficient numbers of hotel beds. Things that Vienna would offer for sure – beside regular direct flight connections from 63 countries the Austrian capital offers 30.000 hotel beds just in 4 and 5 star sector.